going to kaprun in March for a week with crystal. been to austria before to Niederau. loved it. going to stay on for 4 days after the week in Kaprun were do you suggest staying close to niederau (so i can go back there again for a day or maybe 2) but not in that valley as friend will want somewhere new. planning on hiring car for moving around. Hi IrishJay, personally I would be looking at anywhere in the SkiWelt. Plenty of skiing there for you and your friend, plus not too far from Niederau if you feel the need to return. I have stayed in Soll before and would happily return (in fact would have this year but the hotel could not do me a pair of single rooms). You haven't said when in March you will be there. 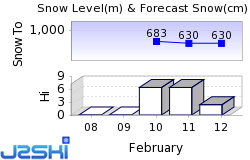 The Skiwelt area normally starts to wind down around mid-March due to its low altitude so you should check the resort websites to see when the season ends, bearing in mind that they can start to close down various sections and links before the resort officially closes. At that time of year, you would normally need to consider going high or stick to resorts with glaciers. It is a great area and Soll is a great base but it might be a bit late. Kaprun itself would be an obvious choice but you clearly want to try somewhere else. 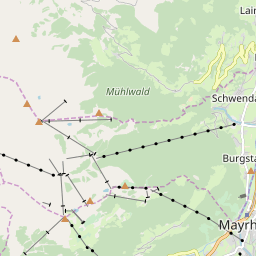 Mayrhofen/Hintertux might be an option (c.2 hours drive from Kaprun). Mayrhofen could be suffering by then (depending on the weather at that time) but the Hintertux will definitely still be fine. Accommodation should be fairly easy to find in most resorts at that time of year. 1st week march wil be in Kaprun. 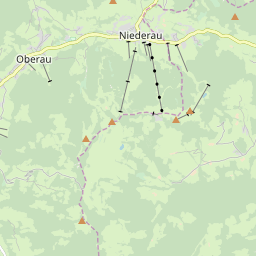 Ski Hire Shops in Mayrhofen, Söll and Niederau.